Playing the national past-time in the nation's capital, the seat of power in the Western world, we see Max Scherzer. Imagine yourself standing at home plate with bat in hand, and looking up at Max just sixty feet and six inches away from you. He's standing on a little hill we know as the pitching mound, and he's getting ready to throw the ball. You are standing there on the right side of the plate, as you are a right handed fella; and here comes Max. The ball, coming from nearly a side arm angle, is heading towards you at a tremendous clip of pace. Because Max is on a hill, and he is six foot three inches tall already, and because of his arm angle this missile launched towards the plate appears to be headed for your groin. The possible outcomes of this scenario are rather frightening. Heaven forbid that man on the hill loses grip on that projectile. Tough to stand there at all, much less be zeroed in on hitting a round ball traveling at a speed near one hundred miles per hour, and with a round bat, no less. But this is the situation most hitters facing Max Scherzer must accept as their lot in professional sports. It is only marginally less severe for the lucky hitters who were born left handed. The National League is full of amazing starting pitching these days. Max Scherzer still manages to stand out in a crowd of deep talent. 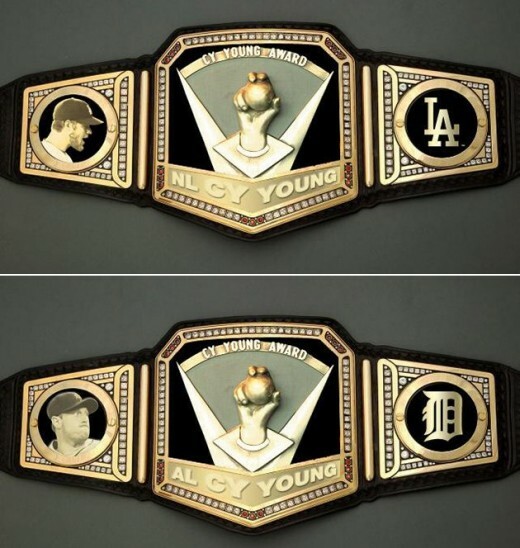 I suspect Max and Clayton Kershaw will be battling it out for the strikeout crown for the next several years to come. Kershaw got the strikeout crown and joined the exclusive 300 club last season with those amazing breaking balls of his, but there is something decidedly less terrifying about a big breaking uncle Charlie curve-ball. Clayton also has the appearance of a guy who'd rather do just about anything than hit someone with a baseball. Max looks like the kind of fella you simply don't look sideways at, ever. Throwing a baseball over one hundred miles per hour to home plate is a bit of a fetish for most fans. The best starting pitchers get stronger as the game goes on, and often wind up increasing their fastball's velocity in the later innings. Max Scherzer definitely does this, and his inclusion in the one hundred miles per hour club has been documented. A lot of great pitchers come and go from Major League Baseball without ever throwing a no-hitter. Some of the greatest pitchers of all time never threw a magical no no game. As dominant as Pedro Martinez always was, he never threw a no-hitter. Neither did Greg Maddox, and the great Steve Carlton, one of the most dominant power pitchers in MLB history, he never through a no-hitter either. Is a no-hitter over rated? Yes and no. No-hit ballgames are more or less statistical aberrations. There's no guarantee that a no-hitter is even a win for a pitcher. You can absolutely pitch a no-hitter and lose. None of this is satisfactory, though, as a pitcher going nine innings and not giving up a single hit shows clear dominance of big league hitters. How do we quantify or assess the achievement of throwing two no-hit ballgames in one season? Well, Nolan Ryan did it once, and having multiple no-hitters will always bring you into a conversation about Ryan, that's nothing to sneeze at, as Ryan is clearly the greatest power pitcher of all time. In more recent years, Roy Halladay did it, though one of his two was in the post-season. The only two other players to have pitched two no-hitters in a season are Johnny Vander Meer, and Virgil Trucks. Two more no-hitters in Scherzer's career would tie him for second on the no-hitter charts with none other than Sandy Koufax, and I wouldn't bet against Scherzer making that high mark. You can see how easily Max Scherzer dominates big league baseball players, hitters of the highest order of talent, with his 97 miles per hour, or more, fastball, his slider, and his change of pace. Were you to go off of his description of pitches, but fail to consider his arm angle in delivery, you could easily consider him another Roger Clemens. 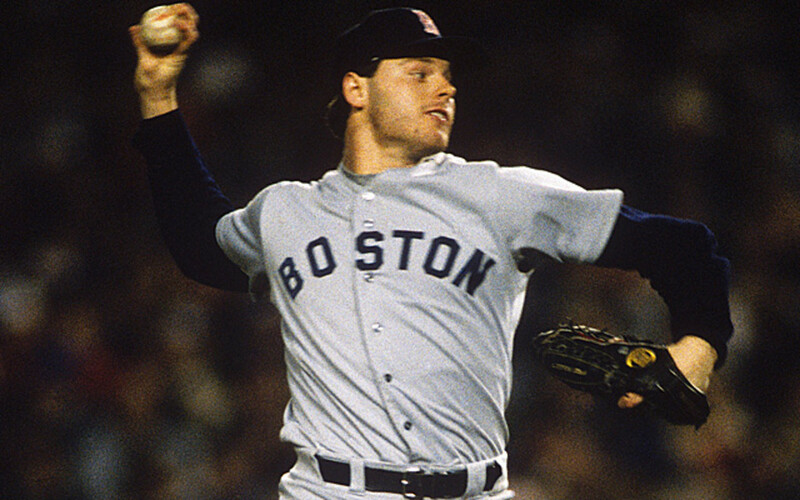 Comparing anyone to Roger Clemens is unvarnished praise of the highest order. Clemens, however, is currently some sort of anathema in baseball for having cheated with drugs in a time when almost every other major star was also doing the exact same thing. At a similar age, Max Scherzer and Roger Clemens make for a very note worthy comparison. Clemens, of course, is most famous as being one of the single finest pitchers in the entire history of Major League Baseball, and also for his having pitched two of the three games in which someone struck out twenty batters in a single game. The other person to do that was Kerry Wood. If at some point Scherzer strikes out twenty batters in a game, it won't be a surprise. The high velocity heat and the power slider bring the high strikeout totals, and the comparison to Wood and Clemens. 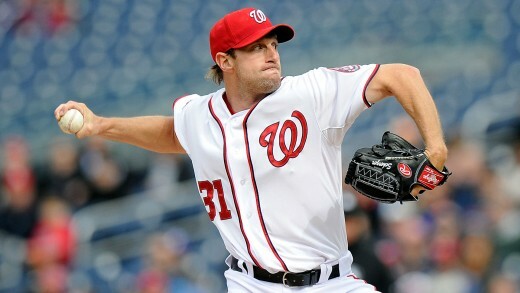 Max Scherzer was born in Missouri and did well enough in high school baseball to be drafted right out of high school. He didn't sign up though, and instead went on to attend the University of Missouri in Columbia. 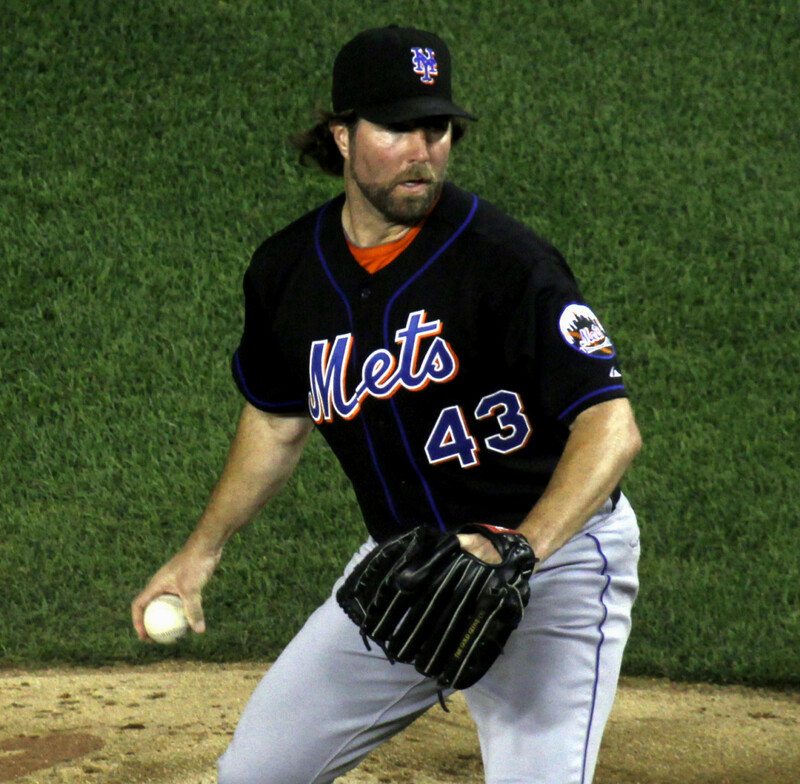 He was then drafted in the first round by the Arizona Diamondbacks, as the eleventh over all pick in 2003. He was the first first round pick ever from the school, and you can bet they're all very proud of Max at the University. 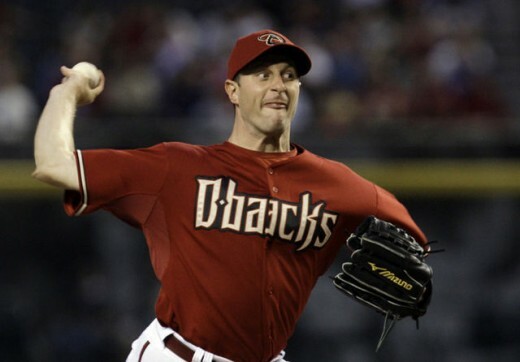 Max made his Major League debut in 2008 for the Diamondbacks, and he did so as a relief pitcher. Scherzer quickly set the tone for his career by pitching 4 and 1/3 perfect relief innings, and striking out seven batters. That's a debut with thirteen consecutive batters retired. He set a new record for Major League debuts that day. The auspicious debut performance earned Max a few starts for the Diamondbacks, but he'd not fare so well in them. After the season was over Max continued working in the Fall for a better year in 2009. The 2009 season was a good one for Max Scherzer. He earned and kept a spot in the starting rotation, and despite having a losing record of 9 wins and 11 loses, he struck out more batters than innings pitched, the defining trait of a true power pitcher. 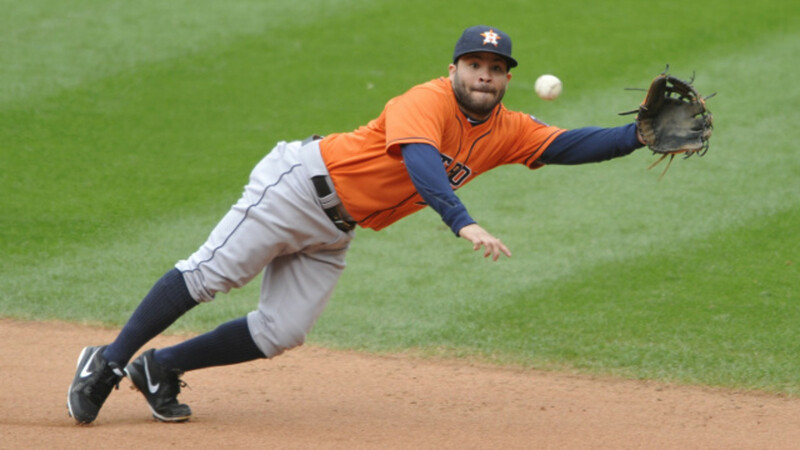 Following the regular MLB season, Max once again worked hard during the Fall towards a better season in 2010. In December of 2009 the Arizona Diamondbacks traded Max to the Detroit Tigers. Detroit had a deeper pitching staff that 2010 season than Arizona had had the previous year, and so Max was sent to triple A ball to continue working as a starting pitcher. He was too developed already to stay at triple A ball for long, and soon he'd be a member of Detroit's starting rotation. Max may have been a little rough around the edges in 2010, but he'd finish the year with a winning record. He won 12 games and lost 11. In these modern times Big League teams take much care of their prize pitcher's arms. The Tigers kept Max under two hundred innings, but only just barely. He pitched 195 and 2/3 innings in 31 starts. 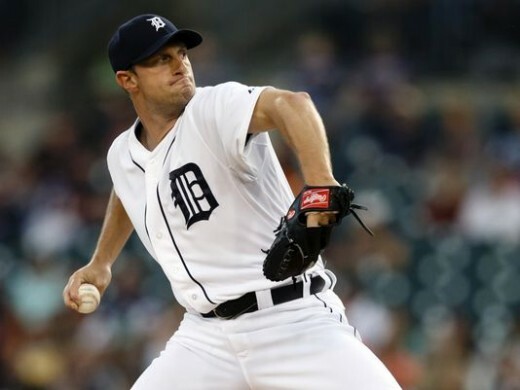 Still a diamond in the rough in 2011, Scherzer was the third starter in Detroit's rotation. The Tigers also had another big time power pitching right handed starter, Justin Verlander. While Max would greatly improve in 2011, team mate Verlander would win the triple crown in pitching that year. There can be little doubt that Verlander's presence and abilities showed Max Scherzer just what he could himself become. Max would finish 2011 with a terrific record of 15 wins and 9 loses. That is an outstanding record for any team's number 3 starter. In 2012 Max would only trail team mate Justin Verlander in strikeouts. He was now well and away good enough to be the ace of most pitching staffs. Though Verlander would have more total strikeouts than Scherzer that year, Scherzer led the American league in strikeouts per nine innings. He'd post a rate that would please Nolan Ryan, 11.1 punch-outs for every nine innings pitched. The Detroit Tigers went to the playoffs that year of 2012. Max Scherzer would perform well in the playoffs even though he'd been battling some late season injuries. When the Tigers would make it all the way to the World Series, they'd call on Max to start game 4. Max pitched well, but did not complete the game. By 2013 Maxwell 'Max' Scherzer was a terrible opponent for those standing in the batter's box. Left side, right side, it made no matter to Max. He won his first 13 games, the first pitcher to have done so since Roger Clemens did in 1986. Just as Roger the rocket Clemens had done in 1986, Scherzer was called upon to start the All Star game for the American League. On the 8th of August Max got his one thousandth career strikeout. Later in the month his record would improve to 19 wins and 1 loss. Again with the Roger Clemens comparisons, Max was the first to have such a record since Clemens had done so in 2001. He'd get to 20 wins first that year out of all pitchers in Major League Baseball. For the season he'd go 21 wins and 3 loses. His earned run average was 2.90, and he'd strikeout 240 batters. The season wasn't over for the Detroit Tigers, and again they'd make the playoffs. Max continued to perform as a top notch pitching superstar, but the Tigers would loose the American League Championship Series to eventual World Series champions, the Boston Red Sox. In 2014 Max Scherzer signed with Detroit for fifteen million and five hundred and twenty five thousand dollars. The ability to regularly throw a baseball at speeds of 95 miles per hour and more, and for strikes too, is a rare ability. It still isn't enough, one must also have a cool demeanor, be able to do this in front of not just the forty or fifty thousand souls likely seeing it live, but knowing too that millions more will be watching from home and television. You are subjected to non-stop scrutiny from the press, and all manner of criticism from everyone everywhere. People often act like Major League salaries are absurd, but those same people have never been subjected to the level of critique the Major League star must endure at all times. Max Scherzer has proved himself a performer. He is a gladiator of the baseball diamond. Physical ability will get you into the professional leagues, but it won't sustain you in the Major Leagues, as a cool head and some intellect also must be present for lasting success. Max has all of this, and some unique qualities too. That less than 3/4 arm angle delivery is not unique, but it sure isn't the standard for someone bringing the heat he brings towards the plate. In 2014 Scherzer earned his cash by posting a record of 18 wins and 5 loses. he pitched a career high (then) 220 and 1/3 innings. He struck out 252 batters, also a career high for Scherzer at that time. Following the season Max signed to play in the nation's capital for the Washington Nationals for the next seven seasons and two hundred and ten million dollars. He absolutely pitched to his pay grade in 2015, and if Max pitches another two no-hitters and joins Clayton Kershaw in the 300 a season strikeout club, do not be surprised. 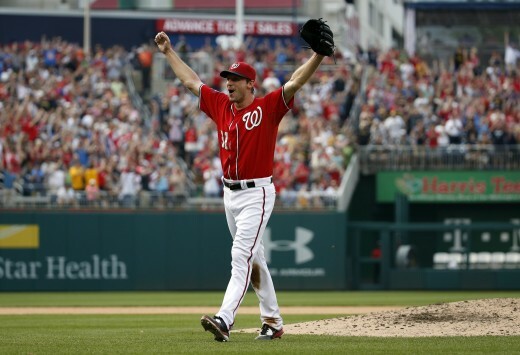 It is going to be a fantastic year in 2016 for Max Scherzer, and lets all root for him along the way. Max Scherzer only had one sibling, a brother, who took his own life. 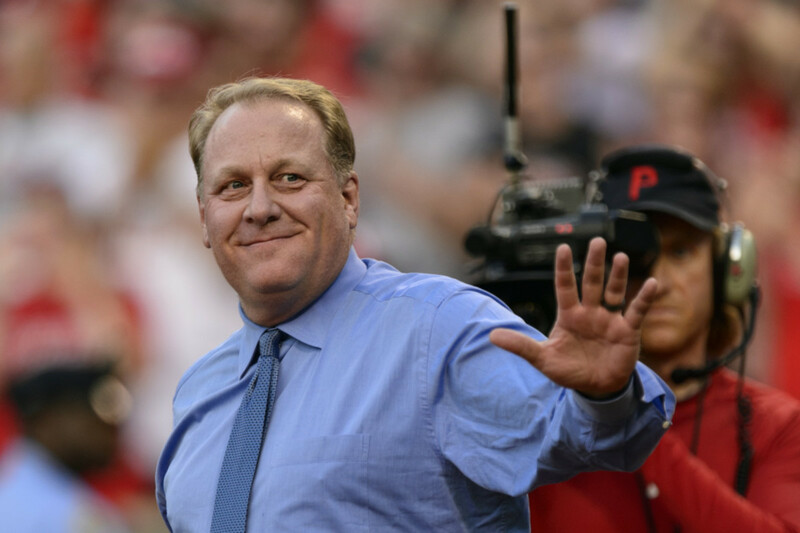 His brother was also a baseball fanatic, and was heavily into the study of sabermetrics. Max now dedicates his every start to his late brother, and don't you imagine he's gunning for ever the more impressive statistics in his honor? I do. I cheer for Max and the entire Scherzer family. 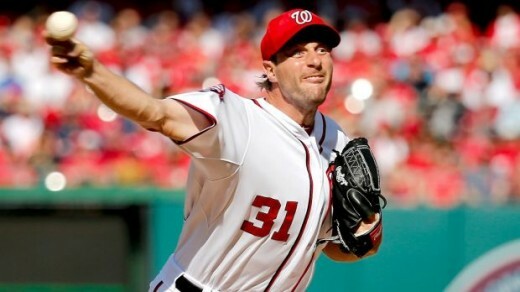 Another fact about Max Scherzer is he's got heterochromia iridum, which is to say, his two eyes do not match in color. Should you purchase a Max Scherzer bobble-head, you may wind up with the ones which are correct, and show this interesting and unique abnormality. 2016 saw another predictably dominating year of performance from Max. He'd pitch the Nationals into the playoffs. He also tied Kerry Wood and Roger Clemens in one of the most impressive single game statistics a pitcher can ever accomplish. He struck out 20 batters in a 9 inning game. He became the 17th pitcher to record at least one win against all 30 MLB teams, and he'd win his second Cy Young award, becoming only the 6th pitcher to win one in both leagues. Max pitched heroically in the playoffs, but the Nationals were beaten out by the Dodgers and Clayton Kershaw. He won 20 games for the second time in his career. His 284 strikeouts were a career high, and the most in the pitching dominate National league. Expect more of the same in 2017. Gaylord Perry was a GREAT pitcher! I have never met a Major Leagues guy....well, except one guy who had appeared in the Majors, and then was stalking our high school cheerleaders when I was in high school. 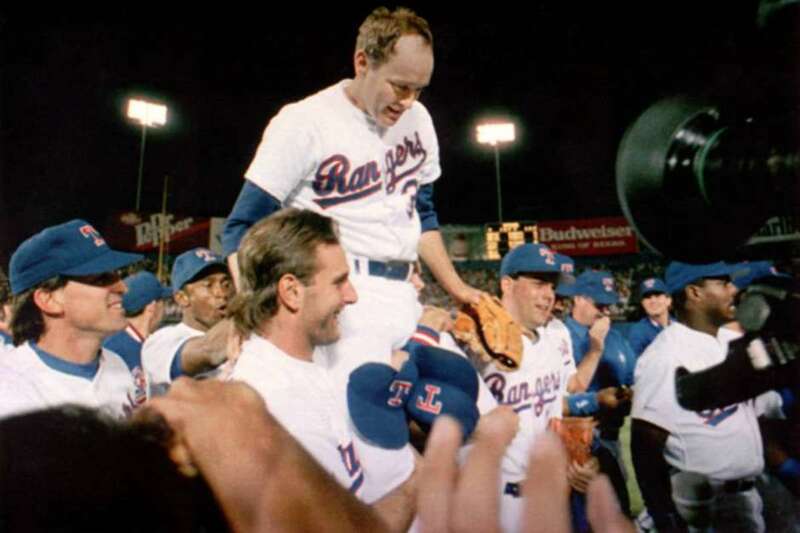 The only thing I could ever do physically that impressed anyone is I could throw a baseball freakishly fast for a dude that weighed about 130 pounds, which was neat because I loved baseball, and Nolan Ryan was THE BIGGEST THING in the history of the Texas Rangers at the time, but I'd been following him since way before then. I'd say baseball got me nowhere, but it got me here, and this is a somewhere! It's my only sport, and one of my first loves.....other than that red headed girl. Wes you have really rekindled my interest in baseball and pitchers, of which I once was one! Not the big leagues of course but I knew a couple minor and big league pitchers. Had diner with Gaylord Perry in the 1980s and he autographed 4 balls for my kids.